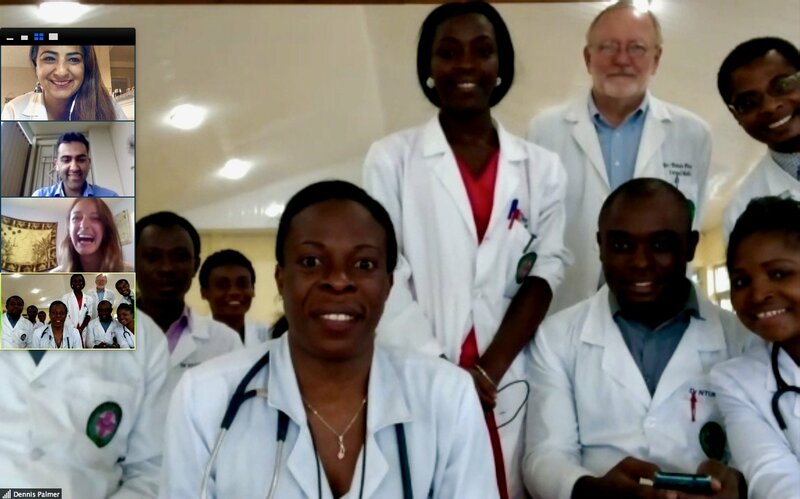 We collaborated with Dr. Dennis Palmer, D.O., former UMKC faculty member, now a medical missionary in Cameroon who currently serves as program director for the Christian Internal Medicine Specialization Residency at Mbingo Baptist Hospital which is at a rural site. 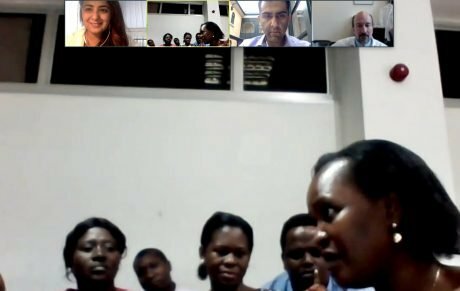 With amazing efforts from his team, including Dr. Albert Nyanga and Dr. Kinne Virginie, medical residents from Mbingo Baptist Hospital benefit from weekly live Grand Rounds, organized by H4TW and presented by acclaimed US doctors from UCSF, Harvard, Stanford and other major medical centers. We have had weekly or biweekly grand rounds in multiple medical specialities many of which are featured on this website. We collaborated with our International Advisor Dr. Lekhjung Thapa, Chief of the Department at the National Institute of Neurological and Allied Sciences, Kathmandu, Nepal who is passionate leader about improving stroke care in Nepal. Monthly workshops in Kathmandu and other rural sites include grandrounds in medicine and discussion about Health4theworld stroke app . The workshops include the doctors, physical and speech therapists, patients and caregivers. 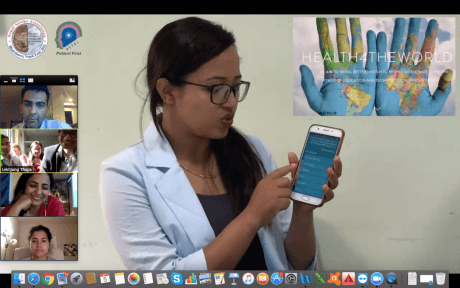 Nisha Kutu shown in the picture is a speech therapist in Nepal. 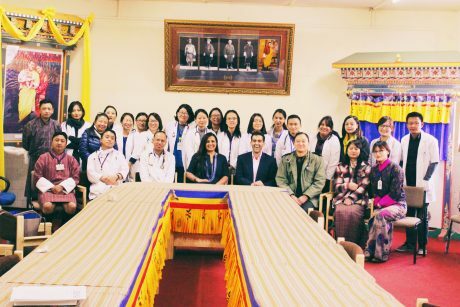 Both online and onsite training has been provided in medicine, neurology, geriatrics, palliative care and radiology at Khesar Galypo University of Medical Sciences of Bhutan. This has been in collaboration with Dr Tashi Tenzin, who is the Dean and Faculty of Postgraduate medicine and also the only Neurosurgeon in the country. 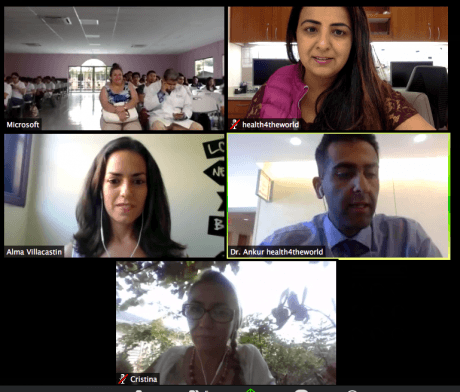 This virtual training was done in collaboration with King Chulalongkorn Memorial Red Cross Hospital in Bangkok, Thailand. 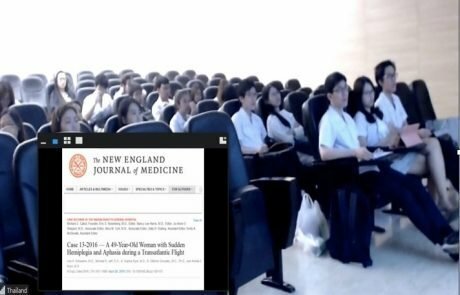 The audience is radiology faculty and residents in Thailand. The training is being given by Dr Gill Gonzalez, Chief of Neuroradiology at Massachusetts General Hospital, Harvard Medical School. Multiple leading radiologists provided radiology training to the future radiology leaders in Thailand . Our workshop was delivered through a live video conference in Mexico. 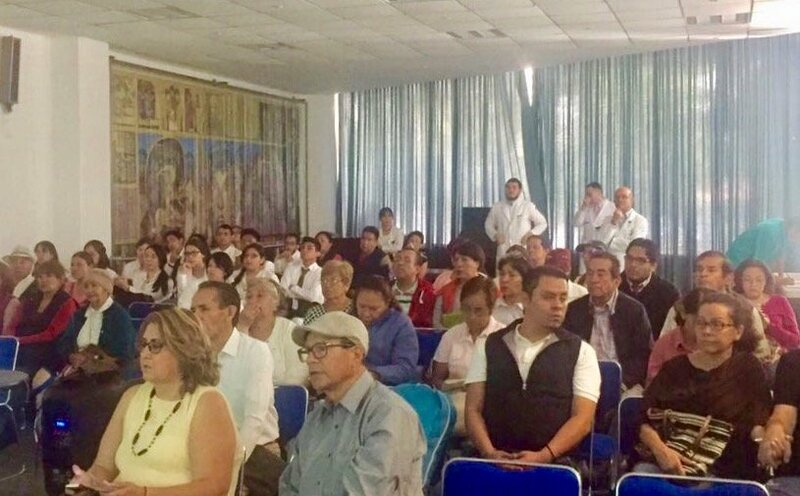 We collaborated with Dr. Ángel Antonio Arauz Góngora, a specialist in neurology at Hospital Angeles Pedregal, Ciudad de Mexico. The audience for stroke awareness have included health care professionals, current stroke patients and family members. The amazing team in Tanzania, led by Dr. Mboka Jacob, Department of Radiology and Imaging, Muhimbili University of Health and Allied Sciences and Dr. Leonard Malasa. The workshops have been in radiology and neurology. The picture demonstrates Dr. Claude Hemphill, Chief of Neurology at Zuckerberg San Francisco General Hospital, UCSF providing online training about brain hemorrhage. 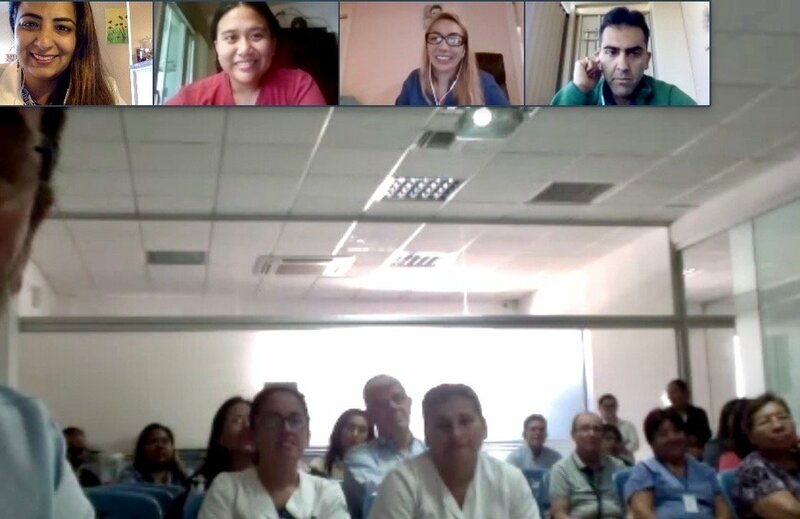 In collaboration with Dr. Walter Mario Camargo Villareal, President of the Bolivian Society of Neurology and Medical Director of the Neuroscience Institute NeuroCenter Santa Cruz Bolivia, the online training in Spanish with Drs. Bhavya Rehani, Dr Ankur Bharija, Cristina Dan and Sofia. 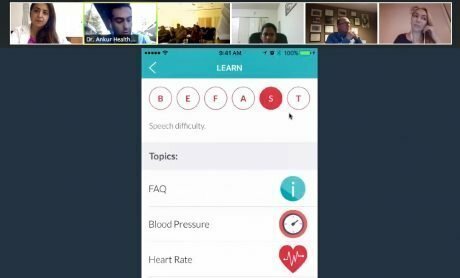 The online training also included discussion about Health4theworld stroke app. Dr Epifania Collantes is passionate about improving stroke and overall risk factor reduction for cardiovascular diseases in rural Philippines. 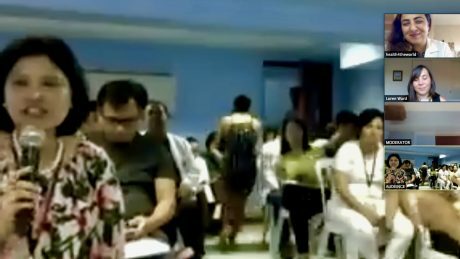 The online workshops includes doctors, nurses, rehab specialists and trainees in Philippines. Dr. Alan Flores, Neurologist, MD, PhD. Stroke Unit. Hospital de Clínicas FCM, UNA, Paraguay, and his spouse Dr. Lea Flores are actively and regularly engaging with our team to promote the H4TW Stroke app to their patients. Our team member Sandra Ortelado was fortunate to visit the San Lorenzo Hospital where Dr. Flores is doing amazing work and has seen firsthand the importance of preventive measures for those at risk of stroke. This risk is amplified in Paraguay by the lack of state-funded hospitals for stroke patients, and the patients Sandra met were excited to have an application that serves as an accessible tool, always at their fingertips. The interest and involvement showed by Dr. Rashimul Haque, Associate Professor & Head, Dept. of Neuromedicine, Uttara Adhunik Medical College and Hospital, Popular Diagnostic Center Ltd., Uttara, Dhaka, in promoting technology platforms in preventive care, has led to a great collaboration. The multidisciplinary virtual training has included neurologists, neurosurgeons, hospitalists, general medicine physicians and therapists. 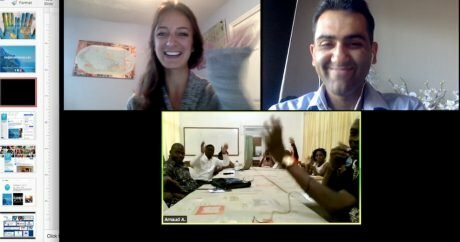 Online workshops in French have been held in collaboration with Dr Assogba and health care professionals who are dedicated to improve preventive care in Togo. Dr. Noryahati Hussain, Chief, Neurological Rehabilitation Unit, Hospital Rehabilitasi Cheras, Kuala Lumpur, Malaysia is dedicated to improve rehabilitation care in Malaysia. This workshop includes doctors, patients and nurses in Malaysia. Nicaragua gave us the opportunity to work with a dedicated and selfless doctor: Dr. Marvin Fermín Salgado Pérez, Neurosurgeon and Director of the Pediatric Neurosurgery Unit at the Hospital Lenin Fonseca. Dr. Salgado has expressed his interest in providing patients with affordable preventative care and took great steps to ensure that patients, staff members, and carers were present at our workshops. Health4TheWorld and H4TW are registered Trademarks of the Health4TheWorld.inc – A California nonprofit PUBLIC BENEFIT Corporation.